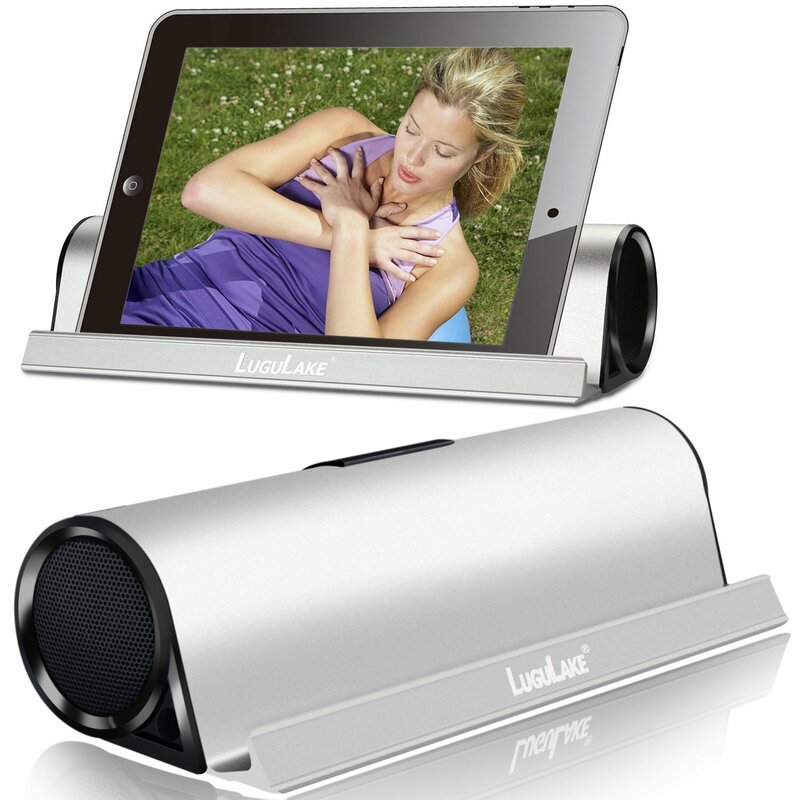 LuguLake II Bluetooth Speaker Stand, using dual 5watt amplifiers with LuguLake sound equalization tech, delivers louder, clearer and no distortion sound quality of your favorite music, videos. 2-in-1: Built-in 4000mAh Li-ion battery: you can enjoy your sound entertainment day and night; 1 USB2.0 1A output for you to juice your smartphones, tablets, whenever and wherever. Humanized sleek design of slot,makes a quality aluminium stand, suitable for smartphones and tablets, especial for iPad, Nexus, Kindle Fire, etc. 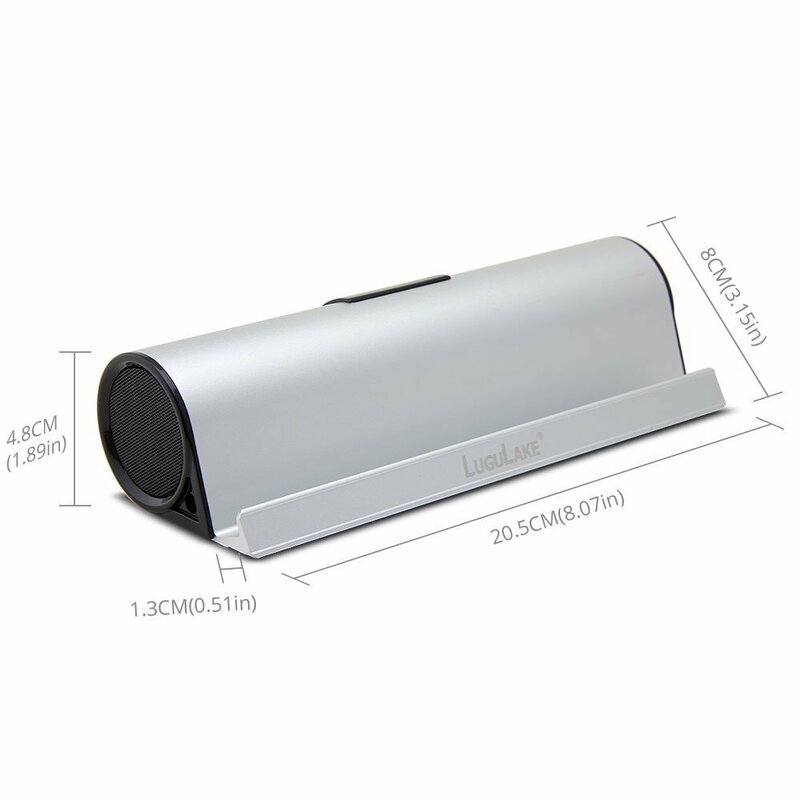 LuguLake ® is the manufacturer focus on Bluetooth Speaker, devoting into deliver enjoyable sound quality, utility sleek design. This portable bluetooth speaker is designed to deliver high quality sound. This stunning LuguLake II features two 5-watt stereo speakers. 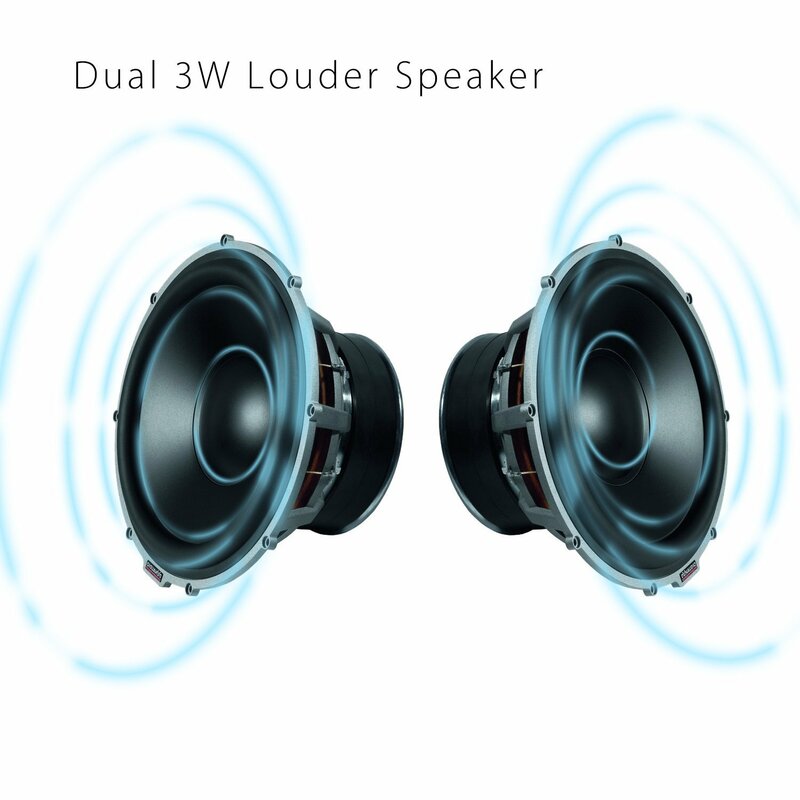 The output power of its audio system is equivalent to that of two 5-watt single Bluetooth speakers. The advanced equalization technique allows the stereo audio system to deliver high fidelity sound without any distortion at all. 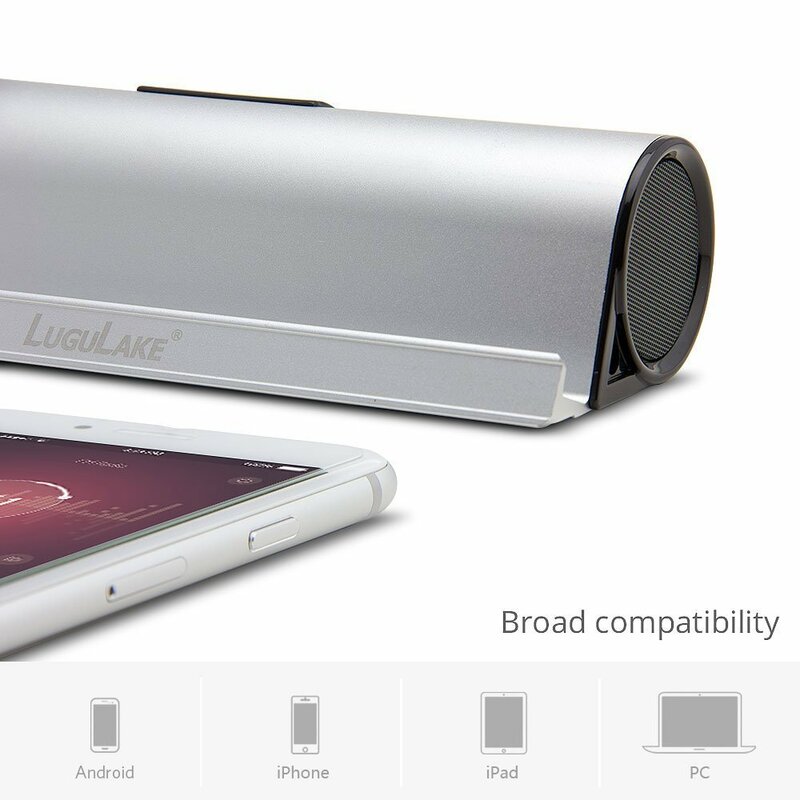 LuguLake II Bluetooth speaker built-in 4000mAh battery, which lengthens the stand-by time after each full charge. With LuguLake II, you can juice your gadgets through USB cable. You can hold on to the ending, not being forced to power off, when you are out of wall outlet. Camping, Picnicing, Cooking, Sporting, you will never miss the unexpected ending of your loved videos. Its ultra portability allows you to enjoy music everywhere anytime. Wherever you are, whenever you want. Stylish And Elegant, Solid And Durable. The Aluminum is fine, fingerprint resistant and easy to clean. The Aluminium stand function frees your hands and allows you to enjoy music and videos on your tablets/phones everywhere. It will be just like a portable home theater. Perfect Partner for ipad Air, ipad mini, Kindle Fire, Samsung Galaxy tab, Google Nexus 10, Samsung S5, iphone 6, and others.